Dastur strongly believes that any engineering task should be preceded by a solid feasibility analysis, whose basic foundation is laid down by process modelling. 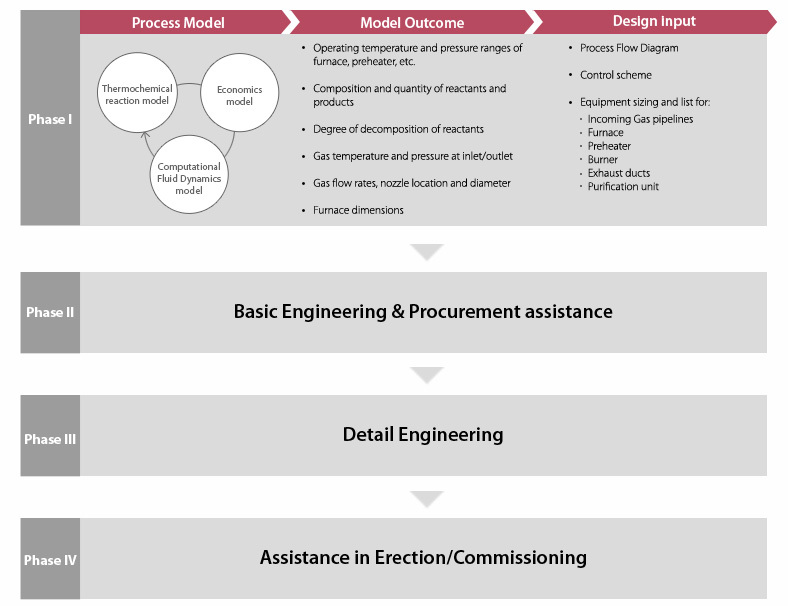 The outcomes from the feasibility analysis lay down the building blocks for basic engineering, which is followed by detail engineering and erection/commissioning. This is truly an example of 'concept to commissioning'.